It has been a while since Valve launched a new game, but now another is coming. 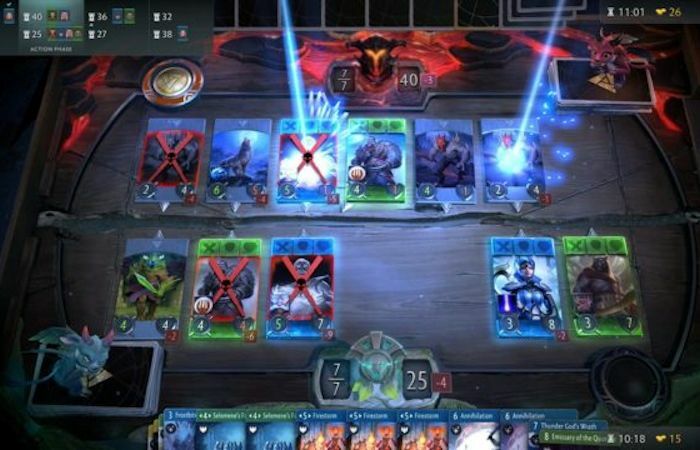 Back in 2017, the company announced Artifact, a card game based on DotA 2. However, the company has kept quiet about its release, at least until now. According to Valve, Artifact will be released on the 28th of November, 2018 and it will be available on the PC, Mac, and Linux. There will also be a mobile release except that iOS and Android players will need to wait until 2019 for that to arrive, but in the meantime, players will be able to play on their computers. Artifact will cost you $20 and it will be launched with 280 cards. Artifact cards can be sold and bought via the Steam Community Marketplace. This is a feature that is lacking in other digital card games like Hearthstone, so this should be interesting. Maybe it will give Hearthstone a run for its money. If you don’t want to wait that long, Valve has also confirmed that Artifact will be playable at PAX West which takes place at the end of the month, so if you are going to the event then you can give it a try. Let us know what you think.